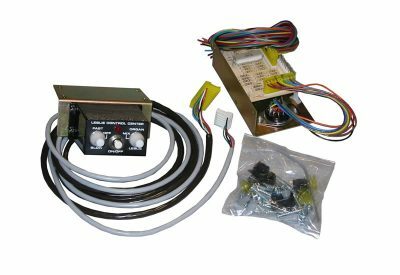 This kit provides an 11 pin Leslie outlet on most 1 to 4-channel organs with internal speakers. Provisions exist within this kit for channel mixing, thus care must be taken in connecting the proper channels of the organ to the appropriate Leslie speaker channels. Included in this kit is a Main/Echo and Tremolo/Chorale switch. We recommend that a factory-trained technician install this accessory.